Three bedroom, two bathroom house on a large lot with a nice screened back porch. The chandelier doesn't convey. Square footage is approximate and not guaranteed. Buyer is responsible for verification. Hwy 521 Turkey Hill Ct. Approximately 10.60 acres of land adjacent to Hwy 521 out of Kingstree near intersection of Hwy 337 and part of the acreage is river view. Most of the land is cleared. Boat ramp within the subdivison for resident use. Many uses for this acreage. Enjoy what nature has to over on this prime parcel of land.
! !REDUCED AGAIN!! 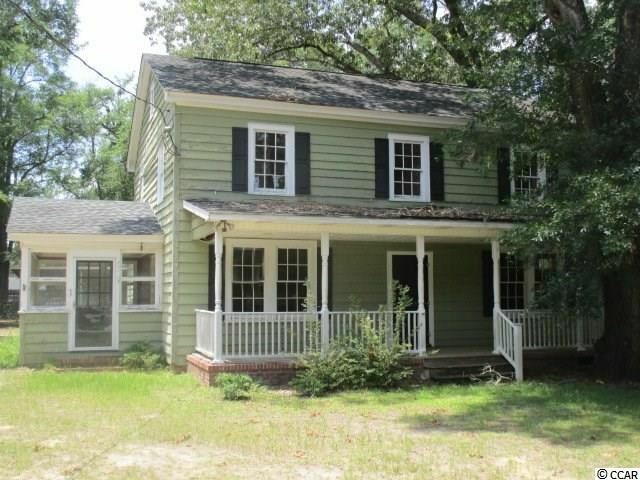 Large, 2-story home convenient to everything Kingstree, SC has to offer. Situated well off the main road with a large front yard, large garage/carport combo, rear porch and ready for your custom touches and updates. Features a formal dining room, sitting porch or studio/office, wood floors in many rooms. If square footage is important - MEASURE!! Opportunities abound! Put your own touches on this home in the country. Enjoy the additional workshop and building or run your own business at home. Home is 3 bedroom 2 bath approximately 1521 sq. ft. Size of house is based on tax records. Good commercial set up for a business. Wide road frontage, two entrances. Several buildings. Large workshop with office and bathrooms. Large gathering hall with bathrooms and kitchen. Office, shop, warehouse and covered storage total 4311 sq.ft. If measurement is important, please verify all measurements. House needs repair. Please do not access property without an appointment. Prime opportunity that won't last long... close to all local amenities on a corner lot! Spacious home that will give you lots of bang for your buck! Priced significantly lower than surrounding homes to sell quickly! Kingstree: Oakwood Park Subdivision. Great location close to Kingstree downtown shopping, Churches, Hospital and schools. All measurements are approximate and not guaranteed. Buyer is responsible for verification and Due Diligence.